“in 2013, the horizon is very different for disabled people. Cllr Kansagra [Leader of the Brent Conservative Party] said in his speech that vulnerable people are protected in changes made by Government….. but that’s as true as a Lib Dem Focus leaflet I received a couple of weeks ago that said that David Clues was my ‘local’ Councillor when he’s living in Brighton. What about Disability Living Allowance, where by the Government’s own admission, 200,000 will lose out on their disability benefits? By the Government’s own admission, thousands will lose out on Carer’s Allowance because of the way that benefits interact with eachother. This Budget supports carers with the introduction of a new Carer’s Hub. Mr Mayor, there are 23,000 Carers in Brent. People providing care to their loved ones in ways that we cannot even imagine. We will create a single access point for carers in Brent. And what about the Bedroom Tax? Couples where one individual has to sleep in a hospital bed and the couple cannot share a room will be penalised for having an “extra” bedroom. This Budget continues to offer hope and support to the Voluntary Sector – to the Brent CAB, who will often be the first point of call for Brent people affected by these changes. Mr Mayor, Labour is the Party that offers hope to people in Brent at a time when examples are taken out of context and are out of the norm and are being used to soften the public mood for benefit changes that are damaging the lives of disabled people. 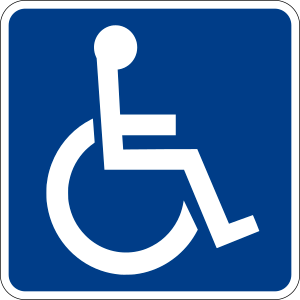 One of the lesser emphasized changes with disability benefits is the issue of passporting and the way that benefits interact with each other. By the Government’s own estimations, they will cut financial support to thousands of carers across the country in the transition from Disability Living Allowance (DLA) to Personal Independence Payment (PIP). In addition, at Monday night’s Executive, our Labour run Council decided to go against guidance issued by the Department of Health which permitted Councils to take Carer’s income into account when charging for care services. Towards the latter end of 2012, Baroness Tanni Grey-Thompson launched an inquiry looking into the introduction of Universal Credit as part of the Government’s wider welfare reforms. The graph below shows the devastating impact that their reforms will have on families with disabled children. The graph above relates to the Universal Credit proposals, which will cut the level of support in half of the disability element of child tax credit. At present, families with a disabled child in receipt of some level of Disability Living Allowance may be entitled to this support. The report highlights that under the Government’s own estimates, this change will affect around 100,000 disabled children. At the same time, this Tory Liberal Government is cutting taxes for the wealthy. We are clearly not all in this together. 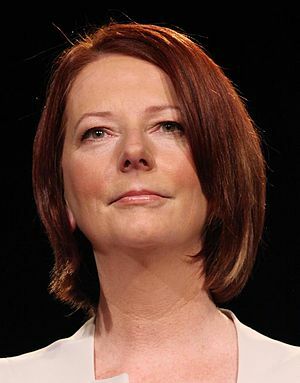 Prime Minister Julia Gillard has sparked celebrations filled with jubilation and also tearful emotion among disabled people, their carers and charities that help disabled people. The Australian Labour Government has championed this progressive move in care provision for disabled people. Two federal states have caved in to the Prime Minister’s demands to provide additional funding for the National Disability Insurance Scheme. In stark contrast, our Tory Liberal Government has stalled care reforms and is using “scrounger” rhetoric to justify cutting benefits to disabled people. The national disability charity Scope have recently reported that almost half of disabled people feel that attitudes towards them have worsened in the last year. The cumulative effect of cuts to the Disability Living Allowance, Local Councils, Time-Limiting of Employment Support Allowance, Wheelchair voucher allocation, NHS Services and many more means that the most vulnerable in society are most affected by the Tory Liberal approach of cutting too far too fast. Rhetoric pushed out by even Government Ministers on how benefits are for scroungers and the undeserving out of work has led to it being acceptable to push through cuts that affect people who genuinely have an impairment. Front page of today’s Daily Telegraph. Pictured in the corner is Vincent Kompany, captain of Manchester City Football Club, celebrating after his club won the Premier League championship last night. At the same time, the Tory supporting Telegraph report on the Tory Liberal Government’s attack on the most vulnerable in society with 500,000 set to lose out on disability benefits. Fraud for the Disability Living Allowance is estimated to be in the region of 0.5%. However, the Government will cut funding for the Personal Independence Payment (which is the new disability benefit replacing the Disabiliy Living Allowance) by 20%. This simply means that disabled people will have less support. FullFact.org highlights the lack of media understanding on disability benefits for the most vulnerable in our society. Interesting responses from Government Ministers this week following the numerous hollow proposals that are being rolled out by this Con Dem Government. In Particular, this number from Labour MP Kate Hoey, who interestingly asked 11 questions on the Disability Living Allowance Budget proposal that is supposed to save £1.4 billion. In return, she received no answers. Announcing proposals is all well, but it seems that the Liberal Democrat and Conservative Government haven’t a clue on how it’s going to work.